Deepak Kumar, Chairman of National Highways Authority of India launched a new multilingual website of the organization. The general public would be able to rate the National Highways through this website within two months. The chairman also launched a Project Monitoring Information System (PMIS) Mobile App that will facilitate close, in-house monitoring of NHAI projects on a mobile phone. 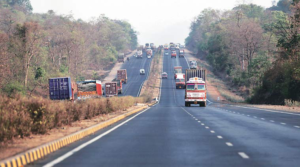 NHAI also plans to soon launch a public interface of the PMIS desktop and App versions, so that the general public will be able to view the real-time status of any project across the highway network. The NHAI website has been developed using state-of-art technologies and provides a centralized platform wherein NHAI’s different software and applications are stitched together and available for browsing in a user-friendly manner. Complete information about the organization, HR, projects, policies, videos and project photographs are available on the website. To maintain transparency, the information is in the public domain.